Created in Ibiza in 1973, this finca in Ibiza Town has grown into the most dominant clubbing brand in the world, with the Ibiza venue still very much the jewel in its crown. With a reputation for providing clubbing with style, it is unrivalled when it comes to adding a dash of VIP pizzazz to proceedings. It is also an ideal place for donning your disco glad rags before hitting the dance floor to the tunes of some of the world's biggest DJs. Pacha is inextricably linked with Ibiza - over the years, its reputation has grown in line with the reputation of the island itself. 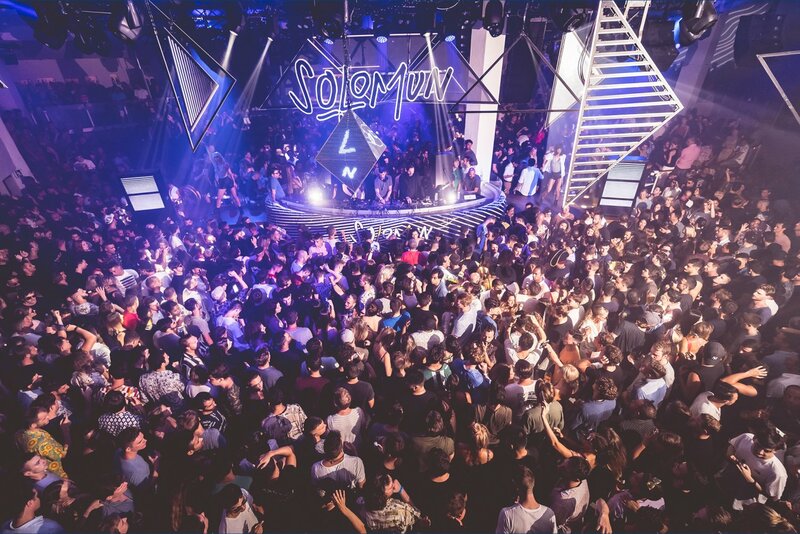 As a result, the club is held dearly in the affections of locals and considered a "must visit" for holidaymakers making their Ibiza debut. These days, with over four decades of party-planning under its belt, as well as a massive refurb in 2018, it boasts one of the biggest rosters of talent on the White Isle. Take your pick from the cream of the electronic music crop, with everything from underground to mainstream to classics from the past being represented. How to get there: Taxis cost €10 from Ibiza Town, €15 from Playa d'en Bossa, €30 from San Antonio. You can walk from Ibiza Town in about 10-15 minutes (taking in the beautiful views of the Marina along the way), and the disco buses run all night during peak season, dropping you off almost directly in front of Pacha's door. Prices: Expect to pay between €40 and €60 for most parties. Prices increase as the island gets busier and the parties more popular. A vodka lemon costs approximately €18, and a beer goes for €12. Prices on the door can be up to €15 more expensive than presale, so buy your tickets in advance. Where to stay: Live the Pacha lifestyle 24/7 at the El Hotel de Pacha opposite the club, or relax in luxury surroundings at the Destino Pacha Ibiza Resort, which boasts a tranquil clifftop setting. Or stay nearby in Ibiza Town or the resort of Talamanca.